Wakefield centre Lee Smith is set to miss the start of the Super League season because of a dislocated thumb. 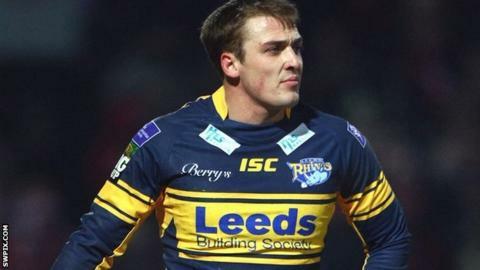 The 25-year-old, who joined the club from Leeds Rhinos last season, suffered the injury in training. Wildcats head coach Richard Agar said: "Fortunately there is no break and they put the thumb back. We're hoping it will be around a four-week injury." Meanwhile, scrum-half Tim Smith is also likely to miss their opener at Bradford next week because of an ankle problem. He picked it up in the friendly defeat by St Helens and Agar said: "He's currently in a boot and we'd expect that to keep him off his feet for at least a week from the injury."